Another week of fitness & eats is in the books! Last week was actually kind of a weird week on the workout front. 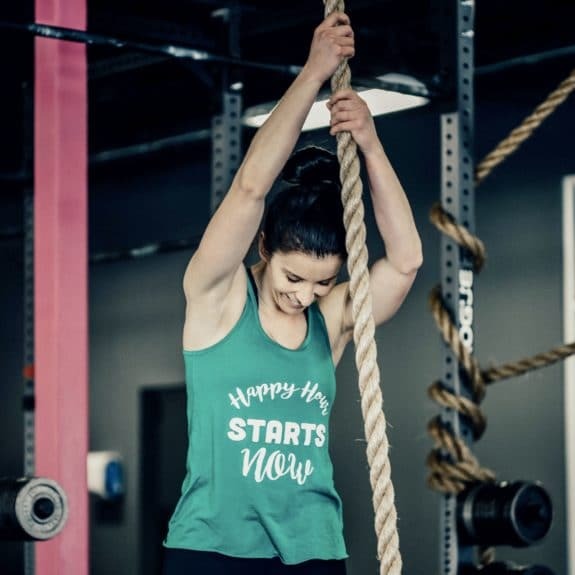 I was active just about every day, but quite a few of my workouts were pretty low-key and not too challenging, which I actually appreciate nowadays. 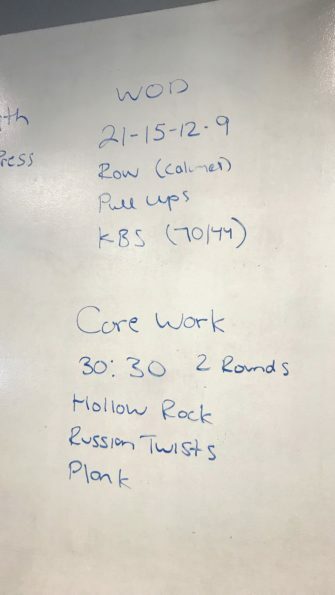 I used to get annoyed if the workout was too “easy” or I wouldn’t consider it a “real” workout if I didn’t kill myself. Boy, have I come a long way from that thinking! Any day that I’m able to move and break a sweat is a good day and definitely “counts” as a workout! Oh, how life changes. Live and learn! 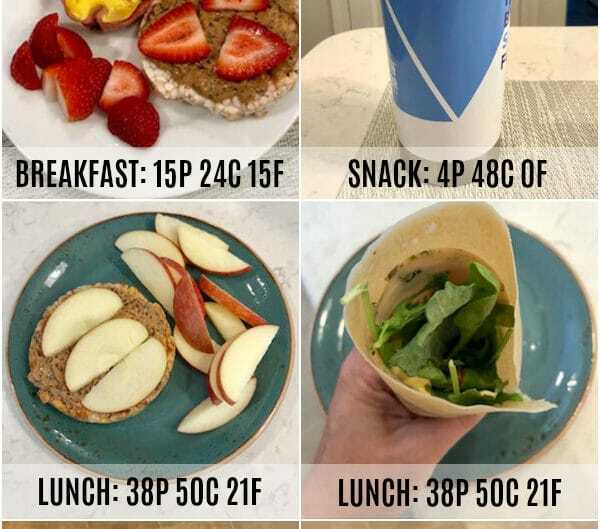 Anyway, here’s a recap of last week’s workouts as well as some of my favorite meals. I hope they give you some fun ideas for your own! 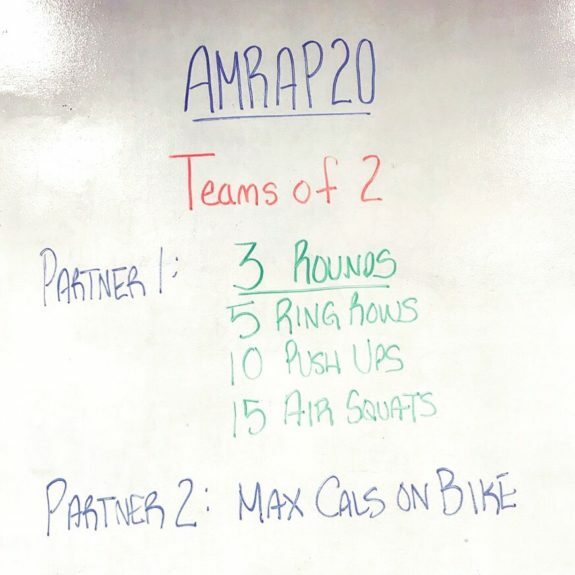 This workout was short, but challenging. I finished just under 15 minutes. 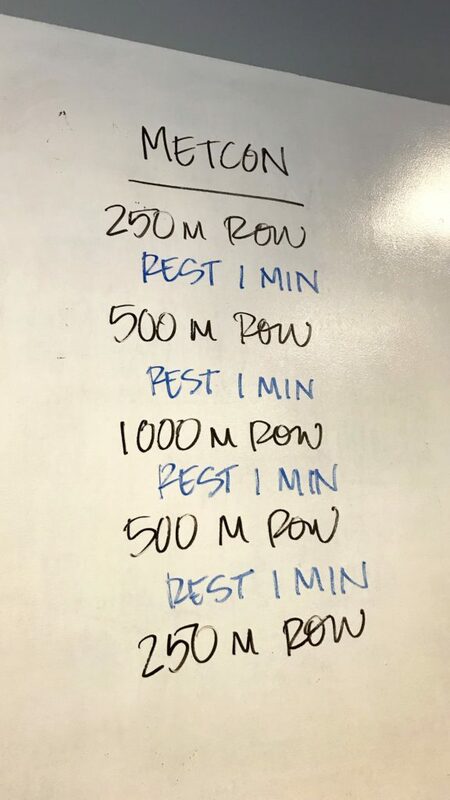 If you like rowing, be sure to give this one a try! 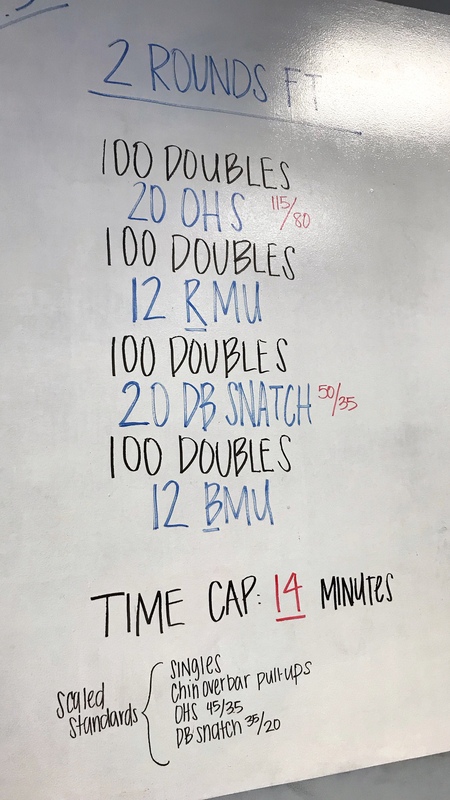 I can’t do ring muscle-ups and don’t do bar muscle-ups well, so I opted for a hybrid Rx + scaled workout for Open workout 18.3. I used the weights for the Rx workout, but then sub-ed in pull-ups for the muscle-ups. I finished 1+74. 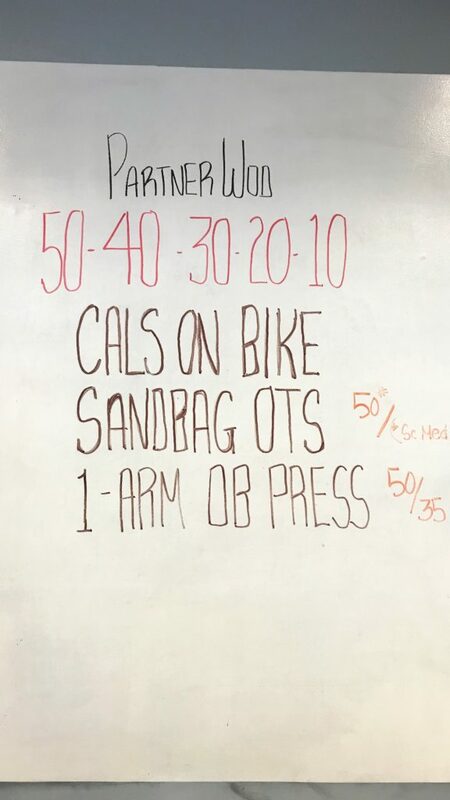 Fun partner workout with my friend Marisa. It took us about 27 minutes to finish. 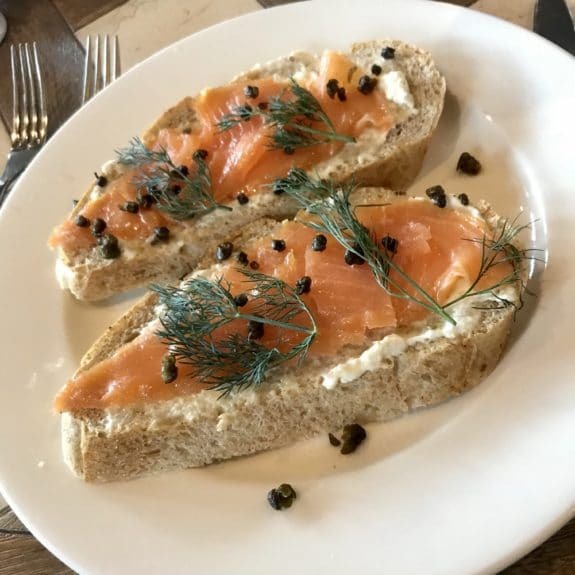 I’m alllllll about the smoked salmon lately, so I’m still dreaming about this open-face sandwich made with grilled bread, housemade ricotta, fresh dill, and fried capers! Lots of veggies in this lunch! 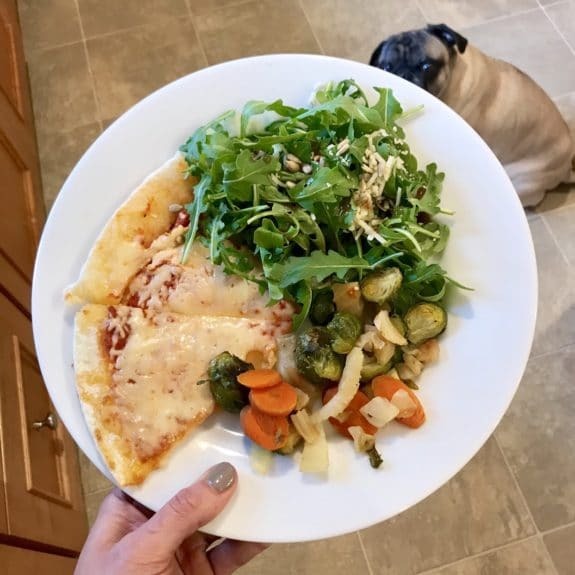 Cauliflower pizza with roasted veggies (Brussels sprouts, carrots, fennel) + arugula, Parmesan, sunflower seeds, and balsamic vinegar. 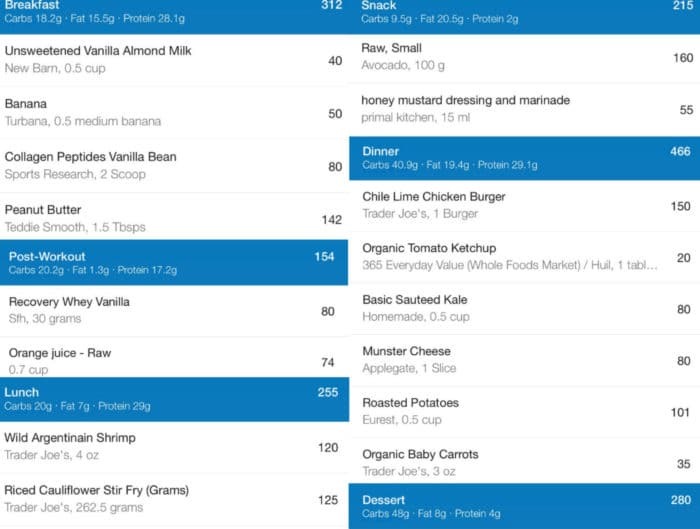 There wasn’t an ounce of meat in this meal, but it still clocked in at 25g of protein. Veggie (and dairy) power! I loved this Greens & Grains Bowl that I tried at Del Frisco’s Grille (new location in Westwood). 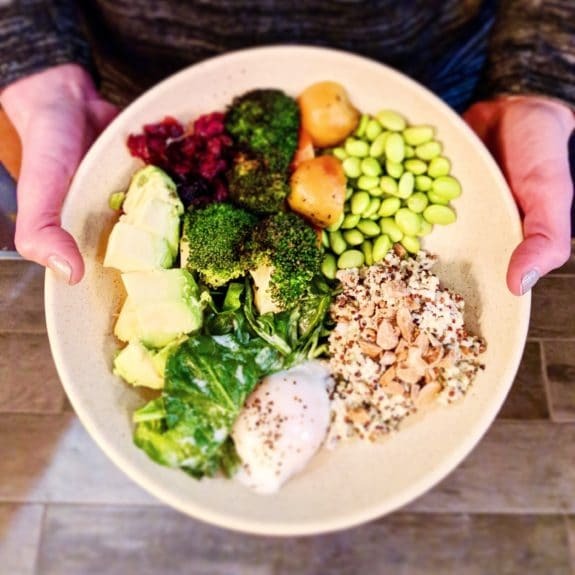 Listen to this all-star cast of delicious and nutritious ingredients: quinoa, charred broccoli, baby spinach, edamame, beets, avocado, dried cranberries, roasted almonds, poached cage-free eggs, and sweet basil dressing. Yummmm! 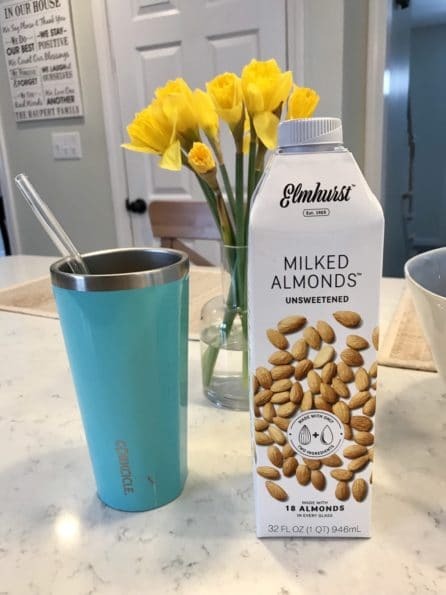 Loving Elmhurst unsweetened almond milk. 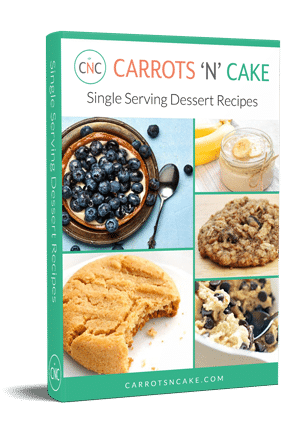 It’s made with just two ingredients: water + almonds. 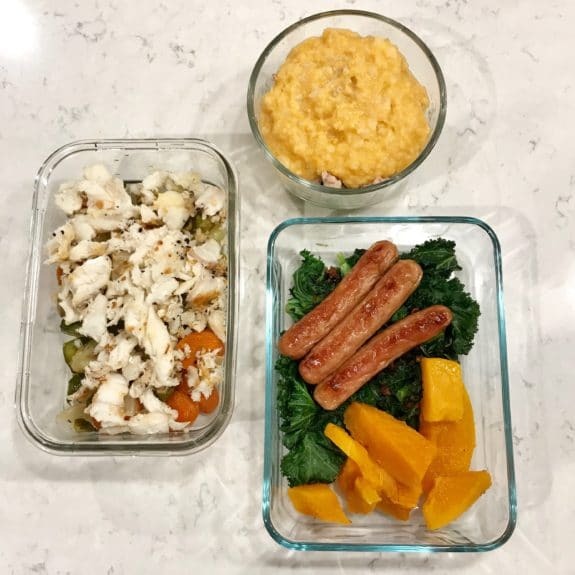 I was starving after CrossFit the other day and whipped up this quickie meal that ended up turning out so much more delicious than expected. 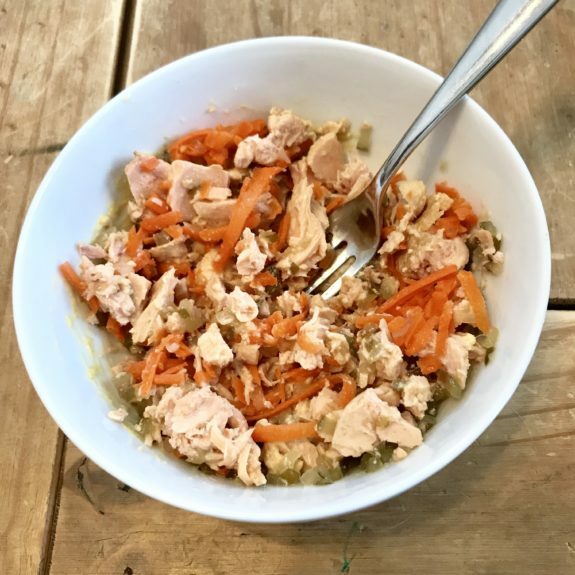 Listen to this combo: Canned tuna mixed with relish, spicy mustard, and fermented orange ginger carrots. It was so good! 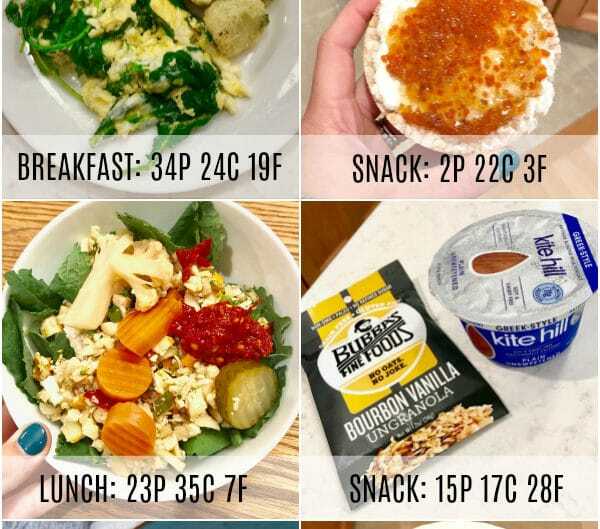 What’s on your “fitness & eats” agenda for this week? 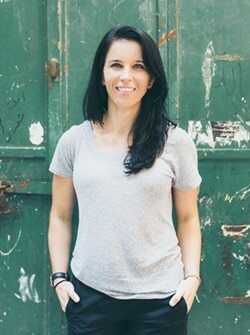 Any fun workouts or recipes to share? “All star line up” had me cracking up. Though it does sound delicious! My sister delivered a batch of braised pork tacos that I’m excited to dig into! Looks like some great eats! 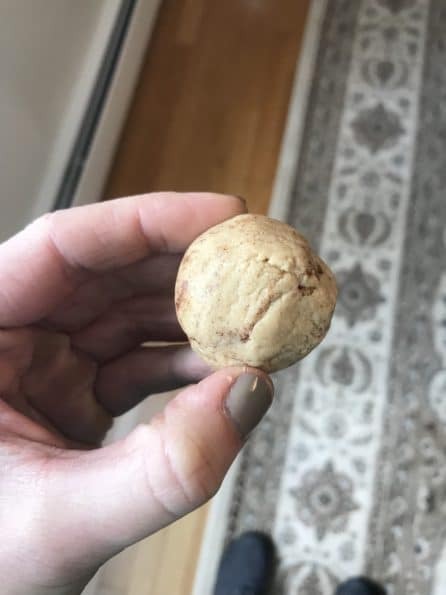 mmm tahini protein balls sounds delicious! I need to try that almond milk! Looks like a great week of workouts, thanks for all the inspiration! Those tahini balls sound like a great way to get more lignans in during the second half seed cycling! Sometimes the best meals are the ones that are SO simple! 🙂 Never thought about relish with tuna. I’ll try that! Those tahini protein balls look SO good. I’m definitely going to have to try them! I’m trying to add in more strength training this week (it’s been mostly running and hot yoga lately) so I’m excited for that! Though it does sound delicious! My sister delivered a batch of braised pork tacos that I’m excited to dig into!